From left are Lindsay Berg, Kelly Shoffner, Ashlyn Huffer, Belle Elliott and Kendra Dunn. 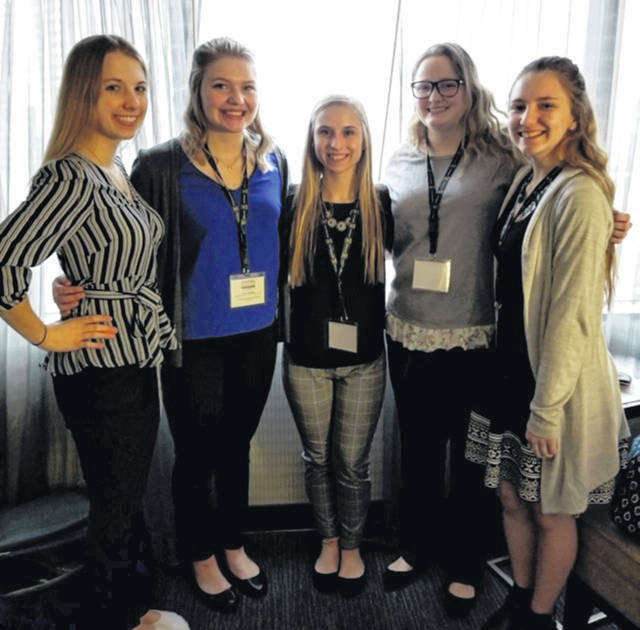 Two Indian Lake High School business students are advancing to the National Competition after excelling in the Ohio Business Professionals of America competition. Senior Ashlyn Huffer qualified for nationals in Fundamental Word Processing and senior Lindsay Berg qualified in Business Law and Ethics. They are both eligible to compete at the 2019 BPA National Leadership Conference in Anaheim, California at the beginning of May. ILHS BPA student Kendra Dunn placed in the top 10 in the state in Business Law and Ethics, while Kelly Shoffner scored in the top 10 in Fundamental Word Processing. Senior Belle Elliott also competed in Word Processing. These students are advised by ILHS Business Teacher Lisa Coburn.